Boise, ID – October 13, 2015 – (GuitarPR) – Brad Van Sickle, the creator of AutoBacktrack, has launched a new Kickstarter campaign to jumpstart the delivery of his unique software program that lets guitar players create their own robust backing tracks and much more. 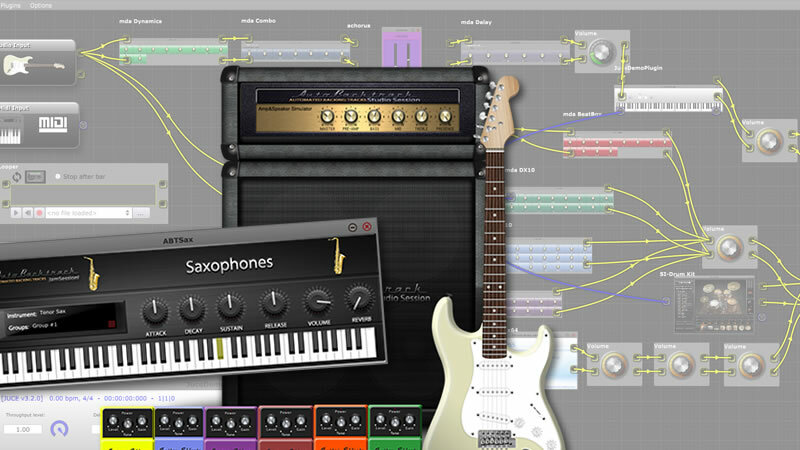 AutoBacktrack allows any guitar player to record tracks with their guitar using any combination of over 100 effects plugins included, and at the same time lets them play a large variety of other musical instruments with their guitar. The application is also compatible with a wide array of third-party plugins. Getting started with AutoBacktrack is easy. Just connect your guitar to your PC through the mic input or by using a USB converter. Configure your audio settings. Select your effects and connect those using virtual cables. Select your output options such as headphones, speakers and recorder. Select any instruments to play through your guitar and you’re ready to record your backing tracks as simple or complex as you like. Kickstarter backers pledging $75 or more will have the opportunity to access the early beta testing phase, and give valuable feedback to help improve the product, and receive the final release of Autobacktrack Studio Session Full Release for free. More information is available at https://www.kickstarter.com/projects/1657696187/autobacktrack-studio-session-guitar-to-any-instrum.